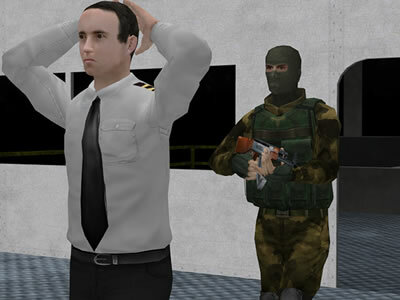 Simulation studio Visual Purple has supplied three custom designed videogames to the U.S. Defense Intelligence Agency. The goal is to help bring the next generation of U.S. intelligence analysts up to speed. The three games, Sudden Thrust, Vital Passage, and Rapid Onset have multiple story lines that branch depending on the player's choices. A typical game takes from 90 minutes to 3 hours. The games are all intended to focus the player's attention on how we know what we know. Approved analytical process are followed to solve the game. This development continues the trend in using computer gaming as a way to develop talented "players' for real-world intelligence analysis and military life. See America's Army And The Last Starfighter and the America's Army Arcade Game for earlier examples. McKie saw that every seat in the room had an arm keyed to the simulations. The figures at the focus were being adjusted to the combined memories [of those present].